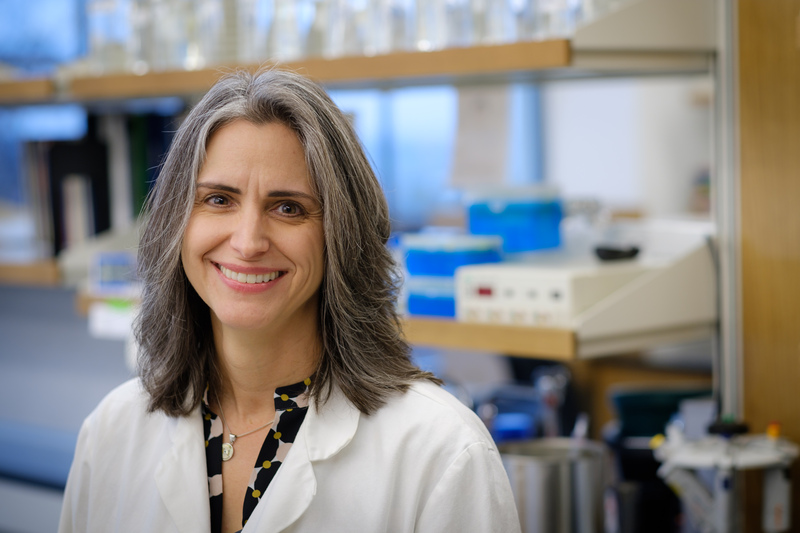 Rebecca Alexander combines her scientific expertise and innate creativity to apply science across a curriculum spanning chemistry, dance, and women’s and gender studies. 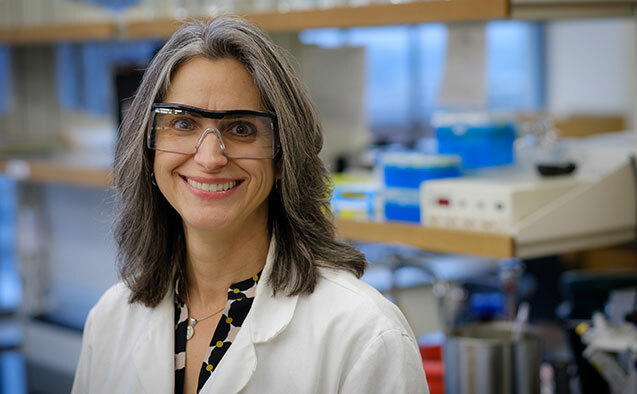 An expert in molecular biochemistry, she has published articles in journals such as Biochemistry, Proceedings of the National Academy of Sciences (USA) and Journal of Molecular Biology, but her work is anything but elemental. Alexander has channeled her expertise into developing courses that blend creativity, passion and a strong liberal arts spirit to get students excited about science. 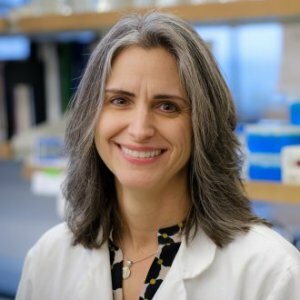 Alexander’s primary teaching responsibility is undergraduate and graduate biochemistry courses, but she has expanded her curriculum to include classes that incorporate her other interests as well. In her first-year seminar “Well-Behaved Women Rarely Make (Scientific) History,” students learn about female scientists and the obstacles they have had to overcome. The course also includes a service-learning component in which students perform scientific experiments with and mentor middle school students in an after-school program. “Movement and the Molecular” uses dance to teach cellular processes, engaging students’ – especially women’s – minds and bodies in a more physical way. She has also co-taught dedicated women’s and gender study courses and started a summer biochemistry study abroad program in London, England. Not only has Alexander’s initiative provided non-traditional but valuable opportunities for students, but it has also stimulated her own curiosity in topics of women in science. 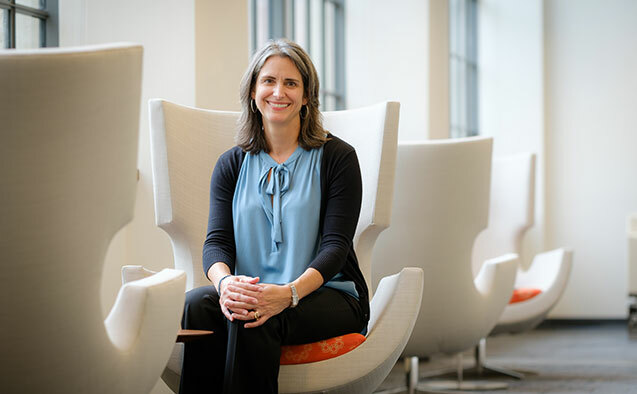 Rebecca Alexander, director of academic programming at Wake Downtown and a chemistry professor, believes one way to close that gap is to show students how the study of STEM fields can improve lives and change the world. “Our challenge is to introduce world problems like drug delivery, water purification and energy usage, and teach students to care about them and apply their knowledge to solving them,” Alexander said. Administrators at Wake Forest are calling Wake Downtown, which began classes Tuesday, a new era for the university as it moves some undergraduate courses into the Innovation Quarter in downtown Winston-Salem. It was a historic day Tuesday for Wake Forest University, as it opened a brand new campus in downtown Winston-Salem. The university is now a part of Winston-Salem's Innovation Quarter, making its home in one of RJ Reynolds’ former tobacco buildings. "We think it's important to be a part of the city in ways that going forward will make us even more distinctive as an institution,” said Director of Academic Programming Rebecca Alexander. “The medical school is already downtown. Now we're rejoining the medical school by being a part of downtown." Rebecca Alexander will be the first one to tell you cooking is all about chemistry—a mix of varied ingredients creating something singular and new. It’s safe to say she knows what she’s talking about: In addition to enjoying baking, she is a Wake Forest University chemistry professor. Her husband, Rob, agrees that chemistry is key, and he also believes the same can be said for a house remodel, where a mix of vintage and salvaged materials can combine to create a home singular in taste and beauty.